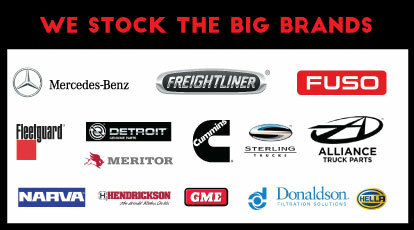 We house the biggest stock of genuine truck parts in the Sunshine Coast. And if we haven’t got it, chances are we can get it delivered quickly, directly to you. Our experienced parts department stock genuine parts, ready to go. We strive to help you get back on the road with minimum downtime to your business. We specialise in genuine Fuso, Mercedes-Benz Trucks & Vans, Freightliner, & Hyundai Forklifts parts and provide an extensive range of accessories including tie down straps, bullbars, spot lights, CB radios, oils, coolants ready to go!